Recently, Daimler Trucks announced an investment to enable production of the new DD5 and DD8 medium duty engines at the Detroit brand headquarters and manufacturing facility in Redford, Mich. The OE also celebrated the start of production of its DT12 AMT at that same plant. 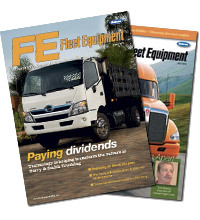 Jason Morgan, editor of Fleet Equipment, grabbed a cup of coffee with Dr. Frank Reintjes, Global Head of Powertrain for Daimler Trucks, to talk about the new engine, growing the DT12 AMT supply line and manufacturing in a global world.